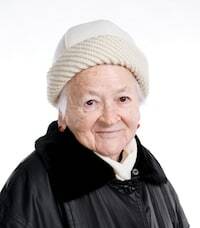 When family members place a loved one in a nursing home, they expect that a loved one will receive the utmost medical attention, services and care. They expect that if a loved one requires additional care, such as physical therapy, a check-up by a doctor or dental services, that a nursing home will provide this care. Unfortunately, there are thousands of nursing home residents who suffer from a lack of mobility and getting the exercise that they need in physical therapy programs. Even worse, more residents are actually the victims of abuse and neglect in the nursing home context. Medicare routinely inspect, surveys and investigates filed complaints on every nursing facility in Ohio. 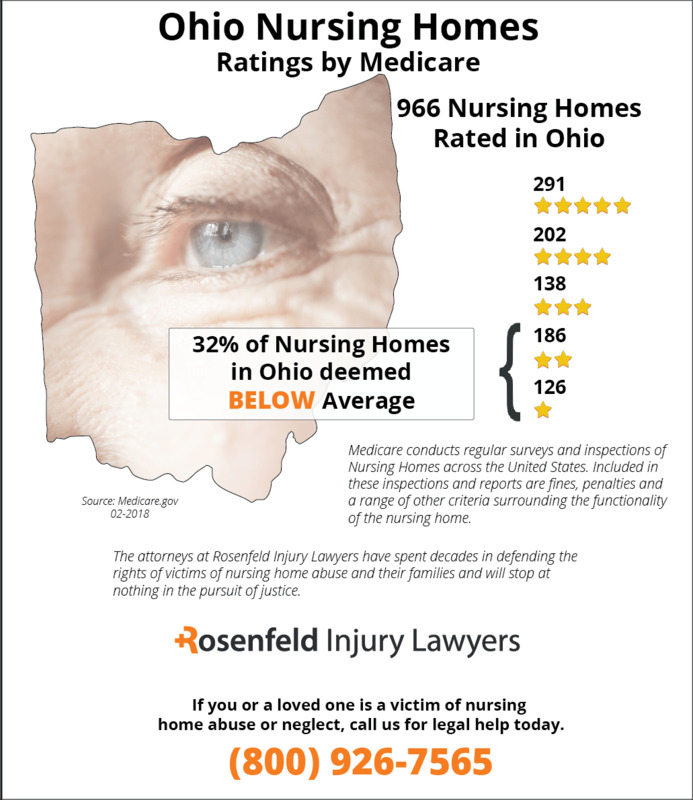 According to the federal agency, 212 (32%) of the 966 Ohio nursing homes were found to have serious violations and deficiencies that led to harm. These facilities are now deemed below the national average because they provide their residents substandard care. If your loved one was abused, neglected, mistreated or died prematurely while residing in an Ohio nursing facility, we encourage you to contact the Ohio nursing home abuse & neglect lawyers at Nursing Home Law Center today to discuss a claim for compensation during a free case review. In Ohio, a research study from the University of California-San Francisco indicates that over 28 percent of nursing homes were deficient in maintaining professional standards as well as providing sufficient quality of care. Researchers found that over 45 percent of nursing homes also had an unsafe environment for residents in 2008. This could mean that residents were using equipment in disrepair or that staff workers were not properly trained for transitions or positioning residents. Residents may have been at a greater risk for suffering from falls in hallways. If your loved one has suffered in any of these ways, then you should get in touch with an Ohio nursing home negligence lawyer today. An Ohio nursing home lawyer is available to investigate your case and give it the attention that it deserves. In Ohio, nursing home abuse is a serious issue that the legislature has addressed in creating various statutes. The Adult Protective Services Act and Abuse, Neglect or Misappropriation of Residents’ Property at Long-Term Care Facility Act govern the treatment of residents in Ohio. Under the Abuse Act, one is guilty of abusing a resident if he or she knowingly or recklessly causes physical harm to a resident. This could also include using a physical or chemical restraint to cause harm to a resident, isolating the resident or forcing a resident to consume medication as a form of punishment. There are also several government authorities that family members can consult for additional information or to file a report of nursing home abuse. These departments are the Ohio Department of Health, Department of Aging, Department of Health-Division of Quality Assurance and the Long Term Care Ombudsman. Family members who are looking for a nursing home care facility for a loved one may wish to review the past history of a facility by contacting the ombudsman. The ombudsman maintains records for each nursing home facility in the state and can provide family members with information to help them make the right choice for a loved one. Family members should pay attention to whether a facility has a history of abuse or neglect in choosing a facility for a loved one. Under the Nursing Home Reform Act of 1987, nursing home residents have certain rights that may not be trampled upon by administrators or workers. Even abstract rights like the right to dignity may not be impeded under this act. Other more practical rights stated in the Act include the right to be free from physical or chemical restraints, the right to be free from neglect and abuse, the right to be informed about medical decisions that impact a care plan, the right to receive comprehensive information about a care plan and the right to have a say in one’s medical treatment. If a resident objects to a certain surgery or medicine due to religious reasons, then this objection must be honored by the medical staff at a nursing home. Otherwise, the staff workers may be liable for violating a resident’s rights under the Act. If your loved one has been abused or neglected, then it is time to take a stand against this unethical and truly disturbing behavior of nursing home workers and administrators. Any type of bedsore in an advanced stage in an Ohio nursing home patient is often an indicator of neglect by the medical staff. This is because nearly all bedsores (pressure sores; pressure ulcers; decubitus ulcers) can be prevented when following the best protocols. Any pressure ulcer acquired in the facility usually indicates that the staff at the nursing home is poorly trained, uncaring or inattentive to the needs of the patient. Pressure sores do not develop just because of old age. They occur when pressure from the body makes continual contact with the pad, mattress, bedding material or wheelchair. The pressure restricts blood flow, which minimizes the amount of oxygen reaching skin and tissue. Common areas for pressure ulcers include the neck, back of the head, shoulders and shoulder blades, sacrum, buttocks, ankles, toes and heels. A bedsore can develop in as little as two hours when the patient is immobile. In fact, mobility-challenged individuals including wheelchair-bound or bedridden patients have the greatest potential for developing a bedsore. This is because these patients lack the capacity to readjust their body without assistance, which is necessary to alleviate the pressure. However, with routine “turnings” or readjustments by the staff every two hours or less the potential for developing a sore is eliminated. Unfortunately, many nursing home administrators focus more on generating profits and less on properly training staff to provide premium care for every patient. In some situations, administrators will discharge or relocate the patient to another facility in an attempt to avoid litigation when the resident develops a severe bedsore. Our Ohio nursing home lawyers stand ready to assist your family when a loved one developed a pressure sore at a facility. Stage I – At the beginning stage of a pressure sore, tiny red dots or small blisters will appear at the affected area on the skin. Alleviating the pressure, and keeping it off, is usually all that is required for healing if the damage of the skin is not permanent. Stage II – When a stage I sore is allowed to progress to an advanced stage, a small crater could appear at the affected area where fatty deposits become exposed. During this stage, special wound dressings are necessary, and all pressure to the affected area must be eliminated until the wound heals completely. Stage III – In this advanced stage, the pressure sore has begun to ulcerate significantly, creating a deep crater. In addition to using special wound dressings, debridement or cutting away the dead tissue is often necessary. The healing process at the stage is extensive and can take many months to complete, if possible. Stage IV – In this critically life-threatening stage, the decubitus ulcer usually exposes the patient’s bone, muscle and tendons at the affected site. At this stage, all the damage is most likely permanent. Debridement is crucial to remove all dead tissue and skin. Developing an infection is likely if the wound is not attended to continuously. An infection of the bone (osteomyelitis) or blood (sepsis) can place the patient in grave danger. In fact, many nursing home patients succumb to a facility-acquired pressure sore due to an infection. Family members with a loved one suffering a bedsore can hire an Ohio pressure sore lawyer to stop the negligent action at the nursing home immediately. A skilled nursing home negligence attorney with years of experience in handling medical malpractice claims will take steps to report the abuse to every appropriate nursing facility regulatory agency. In addition, the law firm can send medically trained personnel to the nursing home to provide immediate medical care. Fill out the contact information here to schedule an appointment with an Ohio pressure sore lawyer listed below. These law firms work on contingency so no upfront fees are paid for their legal services. In addition, they offer a free no obligation initial consultation to discuss ways to stop the negligence and seek financial compensation for all your damages.